The Pink Panther’s pleasingly pink color isn’t the only thing that gives it its name. Like a panther, these can sneak up on you! 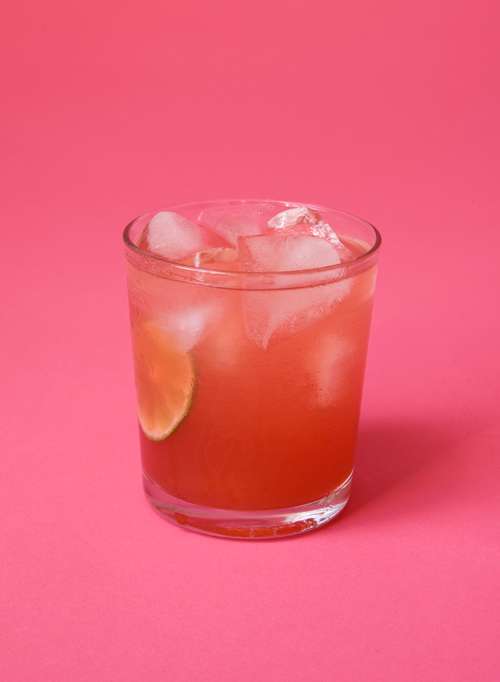 Combine the fresh lime juice and Rose’s Lime Juice in a glass and stir in the superfine sugar until dissolved. Fill the glass with ice. Add the bourbon and grenadine. Top off with club soda and stir. Combine the fresh lime juice and Rose’s Lime Juice in a large pitcher. Add the superfine sugar and stir until dissolved. Add the bourbon and grenadine, stir well, and chill until party time. To serve, fill glass with ice and pour each Pink Panther so the glass is half full. Top off with club soda and stir.